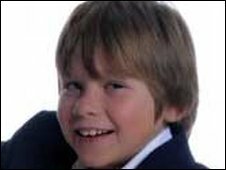 A woman accused of causing death by dangerous driving after an 11-year-old boy was killed in Bristol has been remanded in custody by magistrates. Hannah Saaf, 27, of St Michael's Hill, Bristol, faced four charges, including failing to stop and report an accident, at the city's magistrates' court. Sam Riddall had just left a youth club in Westbury-on-Trym when he was hit by a vehicle on 1 May. 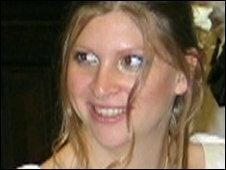 Ms Saaf will appear at Bristol Crown Court on 19 May. The 11-year-old was with three friends on Eastfield Road when the crash happened. Ms Saaf, from Bristol, has also been charged with driving without insurance and driving otherwise than in accordance with her licence. The crash happened just after 2100 BST as Sam walked home from the Henleaze and Westbury Community Church. His friends were not hurt but Dr Peter Harbord, the father of one of them, suffered minor injuries. Sam's father, Martin, 45, and his mother, Rachel, 39, have three other sons aged five, nine and 14. Paying tribute to Sam, they described him as "the most wonderful of boys". "We miss him very much indeed. And we wish he was here with us every second of the day," they said.